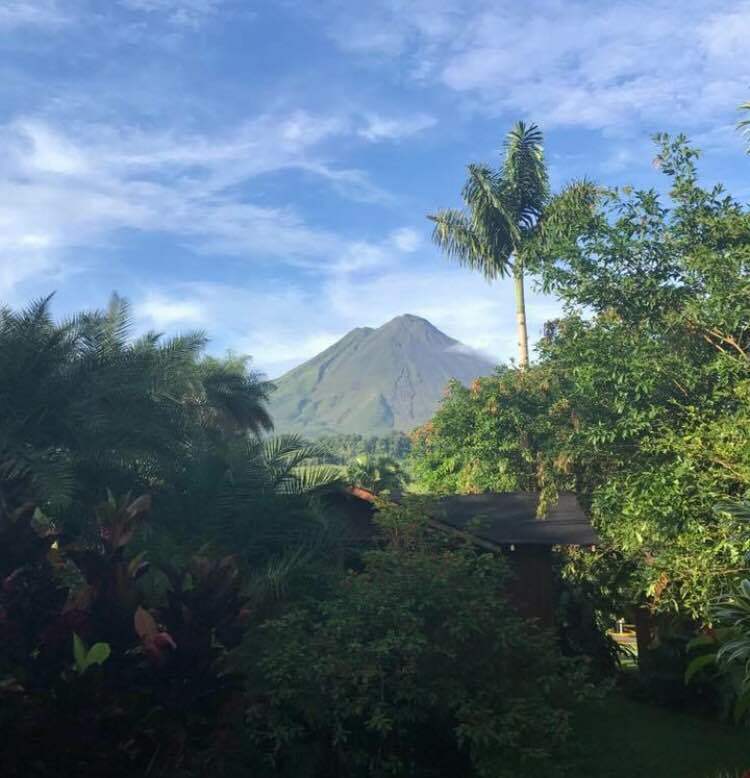 Costa Rica – From deep inside the Tortuguero rainforest, to the foot of the active Arenal Volcano and the stunning Manuel Antonio National Park on the Pacific Ocean, our Trafalgar guided holiday really did have it all. “Pura Vida!” is the most fitting way I can think to express it! This popular Costa Rican phrase was very close to my heart after a week long journey acrossthe lush countryside of Costa Rica. Our enthusiastic and incredibly knowledgeable Travel Director, Fabian greeted us each morning with these words, which roughly translates to ‘pure life’. A passionate ‘Tico’ and a wealth of knowledge about his country’s eco-tourism and political history, Fabian was a true expert in his field and an animated addition to our guided holiday. Our journey began in the capital San José where we flew direct from London Gatwick with British Airways, following a quick flight from Cork the day before. An early night was a welcome treat following a long journey, but I couldn’t wait for the adventure to begin the next day! 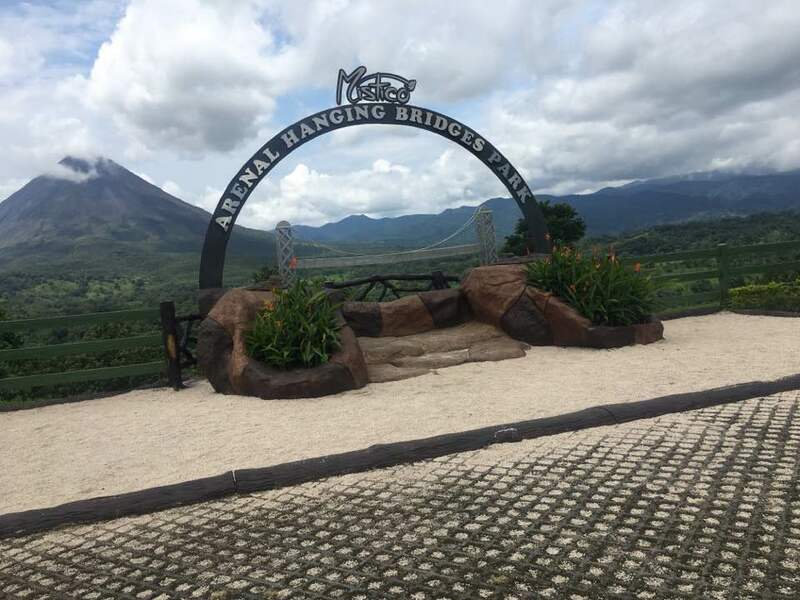 Aboard our very comfortable air-conditioned Trafalgar coach, we headed east through Braulio Carrillo National Park toward the Caribbean Sea, stopping off for a taste of traditional Costa Rican cuisine for lunch. We also visited a butterfly sanctuary and pulled the coach over for a ‘game’ of sloth spotting in the trees. Our next mode of transport was a riverboat in which we cruised along the canals of the Tortuguero National Park to our accommodation for the next two nights – an eco-lodge inside the rainforest, with the black sandy beaches of the Caribbean on one side and Tortuguero’s main lagoon on the other. After a loud thunderstorm during the night we half expected to wake to grey skies and pouring rain but instead we were thrilled to see sunshine, and boy was it hot! 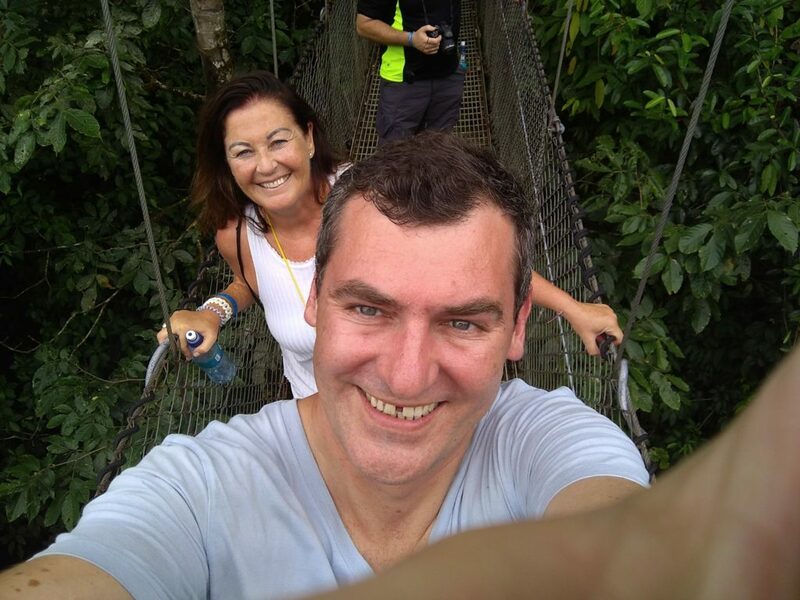 We jumped aboard a rooftop boat to explore the lush waterways of Tortuguero and spotted all kinds of wildlife – sloths, iguanas, caiman crocodiles and colourful toucans to name a few. And the rustle of tree branches meant howler, spider and white-faced capuchin monkeys were swinging through the dense rainforest canopy next to us. As the neighbouring Caribbean Sea and waterways of Tortuguero are home to countless creatures (and I wasn’t prepared to get up close and personal!) 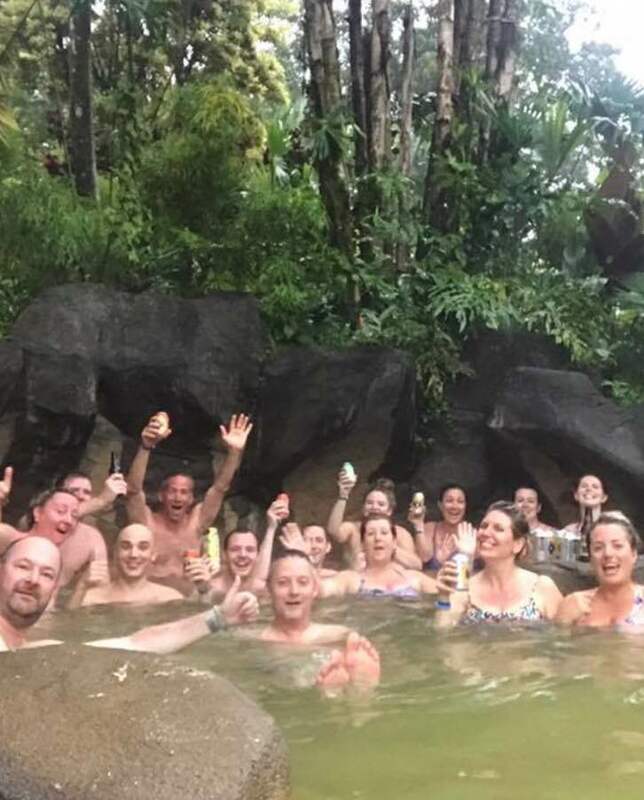 we were happy to spend the afternoon cooling off in the eco lodge’s very own swimming pool, with a piña colada in hand – this was a tropical holiday after all! 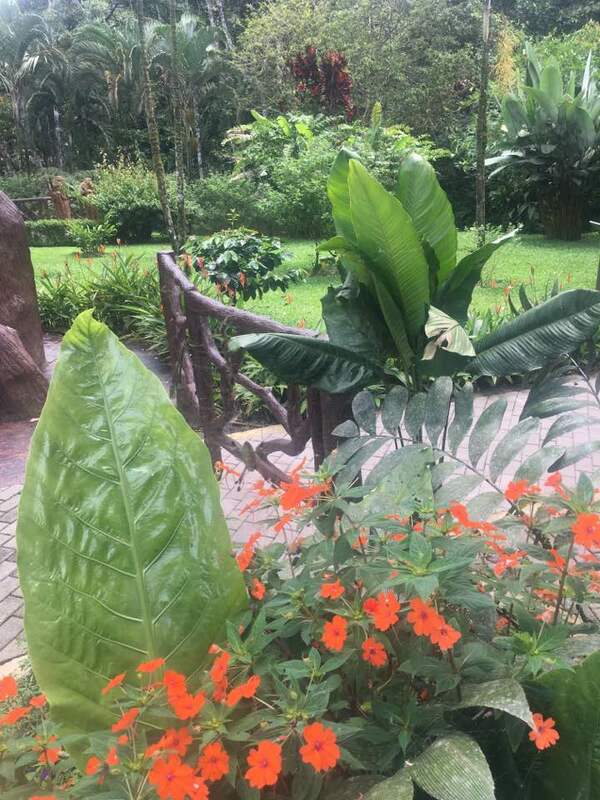 Travelling back west across the country, we made our way to La Fortuna where our hotel boasting breathtaking views of an active volcano, and it’s very own thermal springs awaited us. En route, we made a special stop at a local Tico family’s palm plantation to find out how they farmed the exotic vegetable and a chance to taste the local delicacy; the delicate heart of palm. 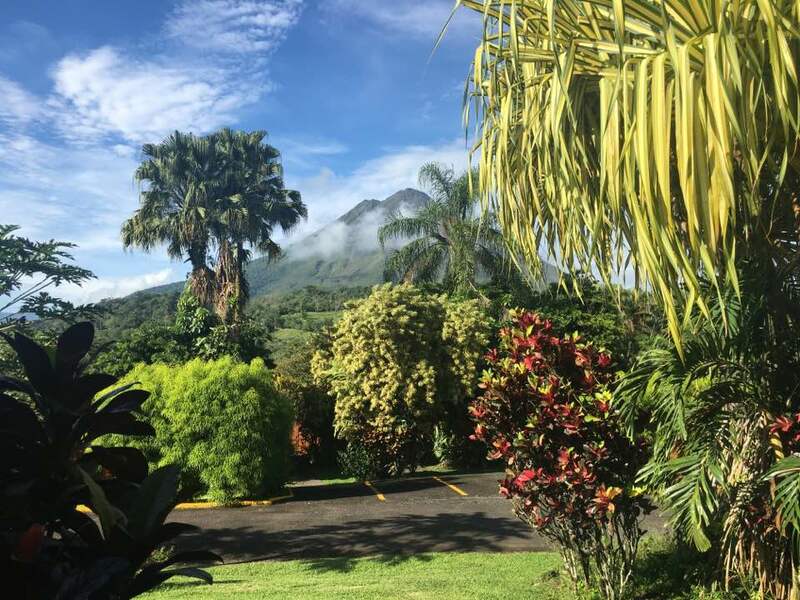 On arrival in La Fortuna, the storm clouds hid the picture-perfect volcano from view, but as we awoke the next day to clear blue skies, what a site! 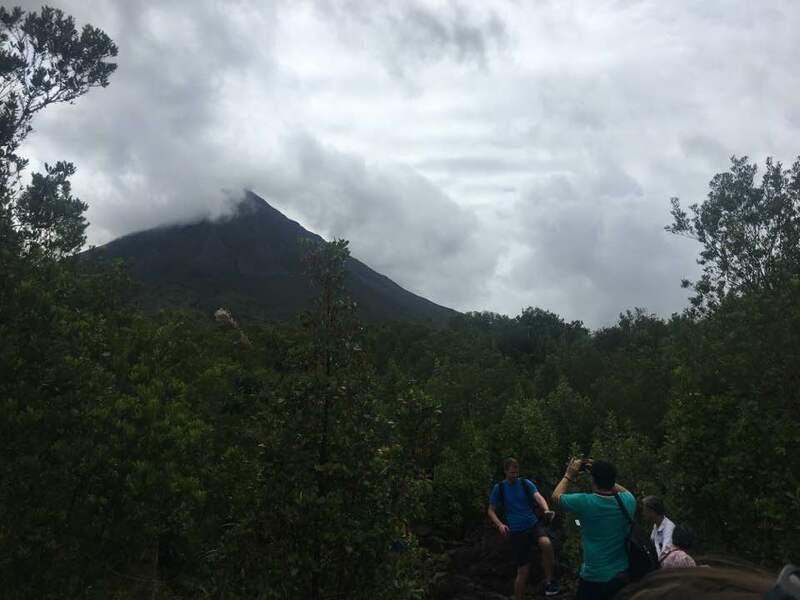 We started the day with a guided trek up the volcano to thelava rocks, and then made our way to the very wobbly Arenal Hanging Bridges where we walked eye-level with the lush canopy. For those in our group with a fear of heights, this was our first taste of elevation, and it wouldn’t be our last! We travelled South East towards the Pacific coast, but first stop was the adrenalin-pumping activity we’d been talking about the whole trip – ziplining! What a thrill! We zipped high above the rainforest canopy, and if you dared to look below you saw incredible views for miles. And those in our group with a fear of heights? Well they were cured for life!… almost. Our final hotel was a five star luxury resort on the escarpment overlooking the sparkling Pacific Ocean. After a busy week of wildlife spotting, volcano trekking and ziplining, we couldn’t wait to enjoy some free time at the local beach inside Manuel Antonio National Park.We had a chance to relax by the resort’s luxurious pools, work on our tans, and reflect on an unforgettable holiday. I can’t believe how much of this incredible country we managed to see in just a week. I don’t think I would have seen half the sights, and learnt even a fraction about this wonderful country if I’d opted for a fly and drive. It was the insider knowledge and true passion of our Travel Director Fabian and the likeminded travellers (and now new friends) I met along the way that really set this holiday apart, and I’d do it again in a heartbeat! Trafalgar’s eight day Monkeys Jungles and Volcanoes family itinerary is priced from €1,650 per person and includes seven nights’ accommodation, breakfast daily, five dinners and three lunches, comfortable coach transportation, the services of an expert Travel Director and driver, and airport transfers. 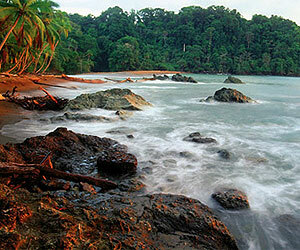 To make a booking call Sunway Holidays on 01 2311800, visit www.sunway.ie or speak with your local Sunway Travel Agent.